A firefighter is seen carrying a hazardous material bag into the Korean consulate in Melbourne, Wednesday, Jan. 9, 2019. Several foreign consulates in Melbourne were evacuated Wednesday as Australian officials noted they were responding to multiple “hazardous material” events in the city. 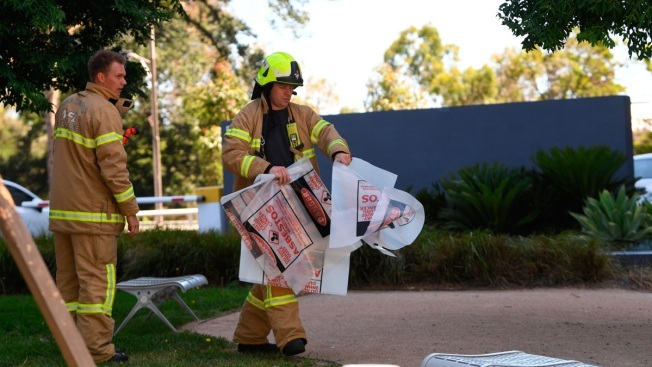 Several foreign diplomatic missions were evacuated in the Australian cities of Melbourne and Canberra on Wednesday after they received packages containing suspicious substances. A spokesperson for the U.S. consulate general in Melbourne confirmed they had received a suspicious package: "We handled the package according to our standard procedure and in close correspondence with local authorities – Metropolitan Fire Brigade, Victoria Police, Australian Federal Police - who are investigating the incident."